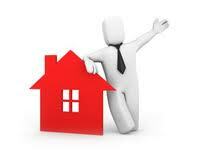 Mortgage Brokers managed to get themselves a bad name during the economic crisis and with good reason. During the years of the mortgage boom, many mortgage brokers entered the market who really had no care for the clients they were supposed to be representing. This lack of care eventually led to the sub prime and credit crisis of 2007-08. The irony of all this is that the mortgage market has now become much more tightly regulated, meaning the services provided by mortgage brokers could now be more valuable than ever before. If you find a mortgage broker you can trust then you could save yourselves hundreds, maybe even thousands of pounds on your annual mortgage payments. Let me explain why. When most people consider getting a mortgage, their first thought is to approach their bank. The mortgage market is vast, much vaster than you might realise. There are often thousands of deals available from different banks and lenders at any one time. If you only approach your own bank and don’t seek the help of a broker, then you will likely never know about or have access to most of these deals. If you choose to use an independent whole of market mortgage broker, however, then you will find that they not only have access to all of the available mortgage deals, but sometimes they even have special deals and interest rates on offer that are exclusive to them and not available anywhere else. If you only approach your own bank then you might only have access to 10 or 20 deals, perhaps less. It’s worth mentioning here that not all mortgage brokers have access to every deal on the market, so be sure to ask that they are ‘Whole of Market’ before you enlist their services. You can find a local whole of market broker on a site like Unbiased* or if you don’t mind doing things online then you can use the online whole of market mortgage broker Habito*. One other benefit of using a mortgage broker is that they have a lot of experience in comparing mortgage deals and working out which deal is going to be the cheapest and best deal for you. Sometimes the best mortgage interest rate is not always the best mortgage deal, as fees and other factors might make a certain deal less attractive than others when you do the sums. As we’ve highlighted, for many people the first thought when they need a mortgage is to approach their bank. Another downfall to this is that each bank has its own set of rules regarding how much they will lend in comparison to a client’s income. Some banks will lend 3.5 times income, others 4 times, some might lend even 5 times your yearly salary! If you earn £30,000 a year and want to borrow £130,000 you may find that your own bank isn’t willing to lend you the money. This doesn’t mean however that another bank out there will not be more than happy to lend it to you. A mortgage broker will easily be able to find the banks that are willing to lend, saving you a lot of time & giving you a better chance of getting your mortgage approved. You may be a hard working citizen but due to circumstance find that a good chunk of your income is made up of social benefits. You might assume that because of this you’re not able to get a mortgage or may have already been refused a mortgage by your bank on this basis. All banks have different rules regarding what income types they view as acceptable! Some might not accept social benefits like Tax Credits, others might accept 50% of income from tax credits and others 100%. The same goes for income support, DLA (Disability Living Allowance) and even child benefit. A mortgage broker will be able to look at the types of income you have and match them up to a suitable lender. This could allow you to be approved for a mortgage you otherwise wouldn’t be or could allow you to borrow that bit more, meaning you can get the house you really want rather than settling for 2nd best! This heading incorporates all the factors that we’ve mentioned so far but also includes other minor differences in criteria which could mean that one bank will lend you money for a mortgage, when another might not. One bank for example may only allow your mortgage term to run until you are 65 years old, another may let it run until you’re 75. One bank might require that you have been in your current job for 1 year, another bank might insist on you having been in your current job for a minimum of 2 years. These kind of discrepancies can easily cause an application for a mortgage to be declined. A broker would be able to see why this has happened and find a suitable lender that might approve your mortgage application. Getting To The Bottom Of Problems! Have you ever filled in a credit application only to have it declined for no apparent reason? Did you realise that it could be a very simple error that has caused your mortgage application to be declined? Banks and other lenders give support to mortgage brokers because they send so much business their way. As a result mortgage brokers often have access to important people like underwriters who can sometimes inform them why an application is being declined, giving them a chance to fix or explain the problem. This kind of access would not be available to you if you were to fill in an application online. (If you’ve been declined for a mortgage and are unsure why it’s worth getting a copy of your credit report to check for any errors that might be lurking on there. Why Can I Trust A Mortgage Broker Now? As mentioned earlier mortgage brokers have had a bad press over recent years. Since the sub-prime crash and credit crunch though, most of the dodgy brokers have been kicked out of the market. Also due to new regulations those that do remain are not able to get away with the sort of questionable practices they did in the past. Mortgage brokers are now required to fully explain why their recommendations are right for their client. Also the strict criteria banks now have in place when it comes to mortgage lending mean a mortgage broker has to supply proof of all details of income and identification pertaining to client. This was not always the case in the past! I hope you can see that despite the bad name mortgage brokers have been landed with due to the actions of a few, they can still provide an invaluable service and help you get the best deal on your mortgage! 3 Responses to Why You Should Use a Mortgage Broker! The last time we bought a house we used a mortgage broker and she was extremely helpful. Great advice! We did our own mortgage for our current house and I can’t help but wonder if we would have been better off just hiring someone to help us. Listening to the banker explaining everything to us at the time was like listening to Charlie Brown’s teacher go on and on. We basically just agreed to everything they said and I can’t wait for our renewal to come up! I think they save a lot of money and stress. Anything that involves such a large amount of your money deserves expert advice in my eyes. The key is finding one you can trust!